First of all, it is necessary to clarify that it is possible to recover the green parts of the onions satisfactorily only if we take into account the fact that the leaves are hard and rather insipid (at the end they can often turn out to be coriaceous). 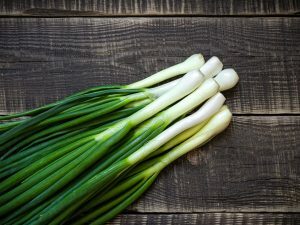 How is it possible to reuse the leaves of the spring onions without spoiling the flavor and texture of the dishes in which they are used? For this reason, the most woody ones should be eliminated and treated in a special way before cooking them. In addition, to flavor them and make them palatable, it is good to add some stems (the greenish and firm part between the so-called white bulb and the leaves). 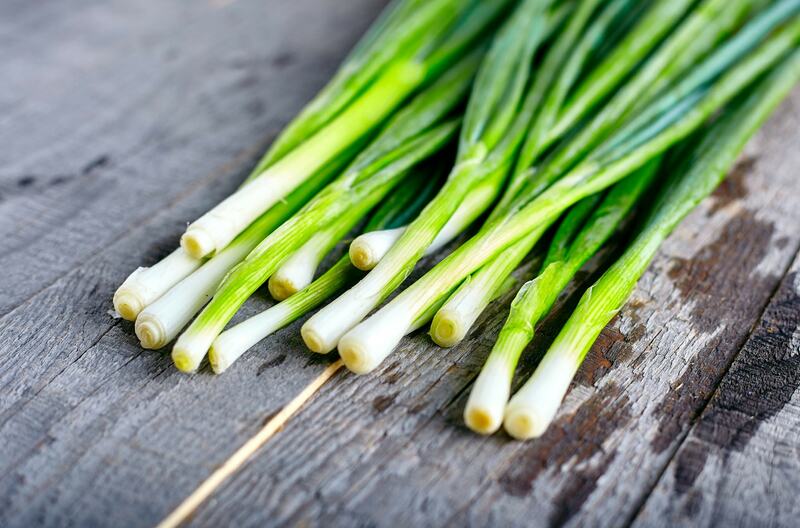 In what ways to recycle the green parts of spring onions? 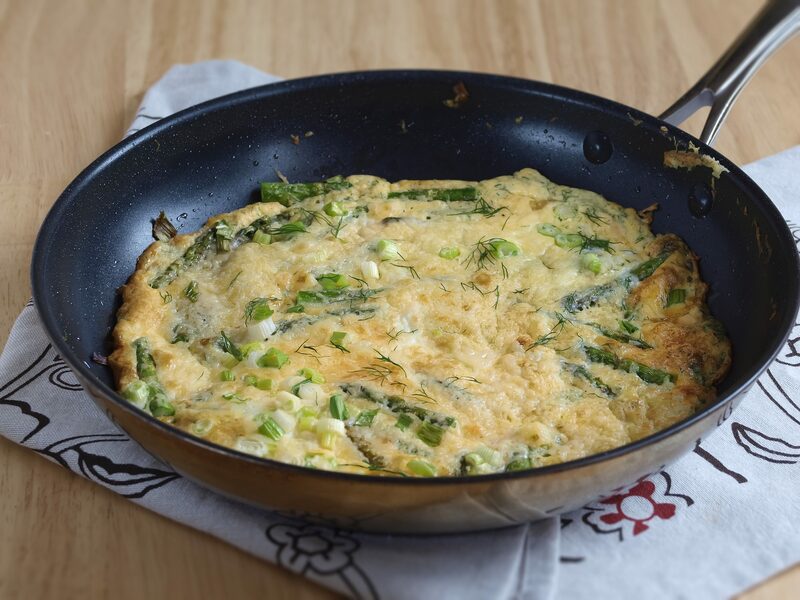 2. the use in omelettes, with or without cheese. 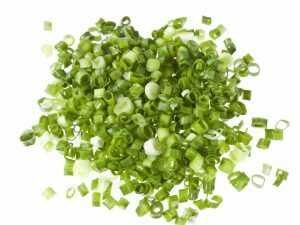 Using the leaves in this way is certainly a very good system to recover parts of the spring onion that you usually do not use, but – after washing them in cold water and draining them – you have to cut them very finely before adding them to other vegetables. 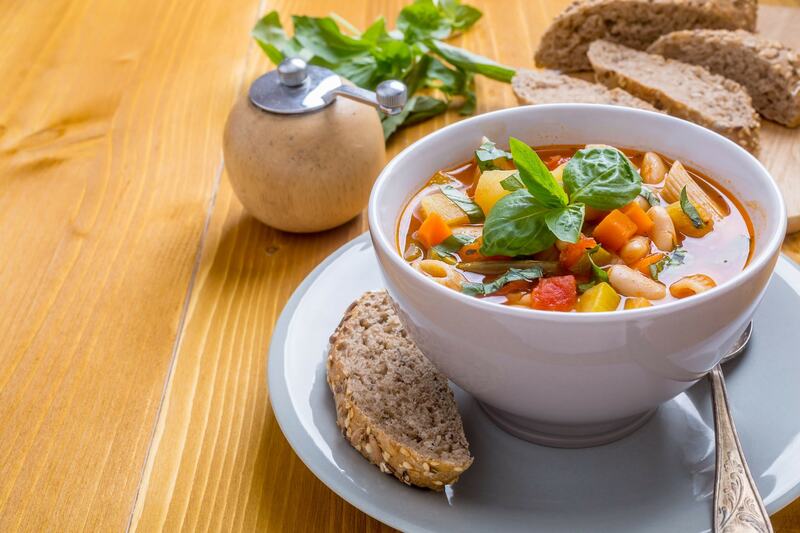 The problem of hardness does not arise if you use a mixer to make pureed soups and vegetable soups. Do not exaggerate however in the dosage and, if the quantity of green waste to be recycled is copious, add several stems or onions, always respecting the proportions of the ingredients. In case you decide to use the leaves in this way, first you need to remove the most coriaceous and far from the bulb, rinse them under the tap, dip them in boiling water for about 5 minutes, drain them and chop them coarsely. Then you have to cook them in a pan with a little oil along with the stems (remember to keep them aside if you want to use the green parts for the omelette) cut them into thin round slices and left to dry over low heat, stirring occasionally with a wooden spoon and adding hot water if necessary. 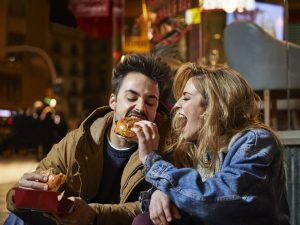 Always taste them and, if everything is quite soft, remove it from the flame, let it slightly warm and use it to prepare the omelette in the usual way with grated Parmesan.